AyurvedicYogi » Is today’s “milk” really milk? Is today’s “milk” really milk? The last few years of my clinic practice have shown a pattern of many people having difficulty in digesting milk. This got me wondering why as both Ayurveda and Yoga hold milk in very high regard. I wasn’t aware of raw or unpasteurised milk’s existence at the time, but a year on I believe that a big part of the ‘dairy intolerance’ problem is two fold. Firstly, so many of us are not digesting food very well, dairy products included. Secondly, and the subject of this post is to look at the role of modern processing techniques. These are namely pasteurisation (milk is briefly heated to 71.7ºC) and homogenisation (milk is spun to breaks up the fat globules which spreads the fat evenly throughout the milk and prevents a creamy layer forming at the top). When it was first used, pasteurization was thought to make raw milk from any source safer to consume. 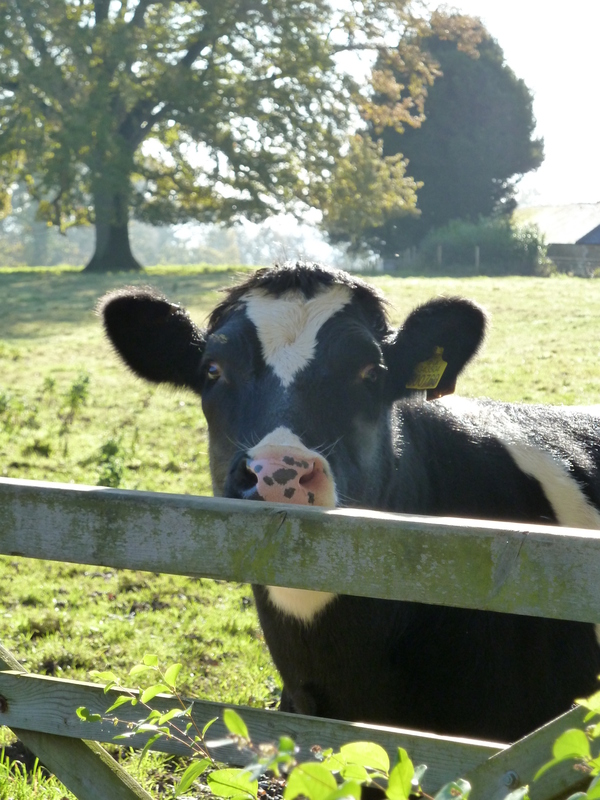 More recently, farm sanitation has greatly improved and effective testing has been developed for bovine tuberculosis and other diseases, making other approaches to ensuring safety of milk more feasible, inlcuing being able to drink it unpasteurised. However, less that 1% of milk currently consumed in the UK is in its natural, raw state. In this light, I recently attended a meeting in Somerset, hosted by the Food Standards Agency (FSA), on the subject of ‘raw’, or unpasteurised milk, and whether it should be regulated differently. You may not even be aware that raw milk is available, though not in Scotland currently where it is illegal to distribute it. For the rest of the country, about 200 producers are registered and can sell it direct to consumers at a farm or farmers market. As it is only legal to supply unpasteurised milk direct to consumers, it is illegal to be sold on the High Street, via shops or supermarkets. However, I have found a box scheme that can deliver it and it can also also be posted to you via the internet. One of my favourite ways to buy that I have read about is in Germany where you can buy it from vending machines at the farm. Since our move to Somerset, I have been getting our milk and other dairy products direct from the wonderfully named Dreamers Farm in North Brewham. This is a traditional mixed livestock farm and is a joy to visit with my two young daughters, who get to see where our food comes from and meet the Jersey cows, pigs, sheep, chickens and even the odd pony. So, why the bother when you can’t even buy it from the shops? From the Ayurvedic perspective milk is considered a superior food, being the refined juice of plant essence. Milk is ‘sweet’ to taste, cooling, heavy to digest, oily and congesting, properties which help reduce Vata and Pitta but aggravate Kapha dosha in the body. Charaka, one of the three great Ayurvedic teachers from ancient times, lists habitual use of milk and ghee as being ideal for rejuvenation as they increase ‘ojas’ or life-force. Ojas’ covers all factors responsible for the prevention of degeneration and natural immunity against disease or ones ‘mojo’! Without ojas there can be no life. Cow’s milk is the best amongst such life giving substances due to it having similar qualities to ‘ojas’. There are many other types of milk than the ubiquitous cows milk. Goat’s milk, for example, is lighter to digest than cow’s milks, benefits the lungs and strengthens the whole body, though it still creates mucus. See the chart at the end of this article for a fascination review of the different types of milk which can be used to make ghee. The author notes that it is not known how ghee is prepared from human breast milk and that it is not available currently! (Gogte 2000, p764). To sum up, milk is hence an ideal food for the convalescing patient, children and deficient individuals. Similarly, the Hatha Yoga Pradipika advises the serious yogi that ”sweet and nourishing food should be mixed with ghee and milk, nourishing all tissues and be pleasing and suitable…(HYP, C1/62-63). The fact that Ayurveda and Yoga are both big fans of milk as a complete and nutritious foods is not surprising because the cow is considered sacred in India. However, these ancient texts were written approximately 2000 years ago when modern processing techniques, such as pasteurisation, homogensiation and indeed pollution would not have been an issue. The effects of pasteurisation and homogensiation, as well as fertilisers, pesticides, antibiotics and other aspects of modern intensive farming all create toxins. For example, pesticides are known to bio accumulate up the food chain, being stored in fat, emphasising the importance of using organic milk. These processes also destroy the enzymes which help us digest milk, leading to undigested matter or ‘ama’ in the body. Sebastian Pole adds a further cause in that “intolerance is also exacerbated by our own low digestive fire (agni) and excessive antiobiotic use in livestock”. So, unless you can get good quality (in my personal belief this means raw organic milk) and have good digestion, it may be best to leave milk alone (and try numerous substitutes such as rice, oat and almond milk- I am not a fan of soya milk though which is quite hard for most people to digest as well). If you’d like to try it out, start googling raw milk and see how you can get hold of it, and if you can’t find a source, write to the FSA and show them demand is on the up. Look for milk from high quality dairy herds, such as those at Dreamers Farm, that are grass-fed in the summer with home-grown silage / hay and natural feeds in the winter. It is best that herds should not have routine antibiotics and preferably little or no use of grain feeds or concentrates. I prefer the richer milk from breeds such as Guernsey or Jersey cows – though raw milk from all breeds of cattle and from quality farmed buffalo, sheep and goats will still provide many health benefits. By law, the label on raw milk states it has not been heat tretated and may contain organisms harmful to health. You need to do your own reserach here, and find a farmer you trust (eg at the Farmers Market). Do ask the Farmer how he tests the milk- as they can’t rely on heat treatment to kill any nasties, they need to be very scrupulous in hygiene standrads. After drinking this milk for a year, and giving it to my family as toddlers, I feel confident in using it straight from the bottle. I feel that if you heat or indeed freeze it (as some sites recommend) you are affecting the nature of the milk but this is a choice for you. NB: However, good the milk, it is worth noting that it should not be consumed cold from the fridge, or with other foods such as fish, meat, sour foods, salt and leafy green vegetables (incompatible Ayurvedic food combinations). Badava (mare) ‘increased digestive fire and the body, is light after digestion, mitigates poison nourishing, cures eye diseases and burning sensations’.